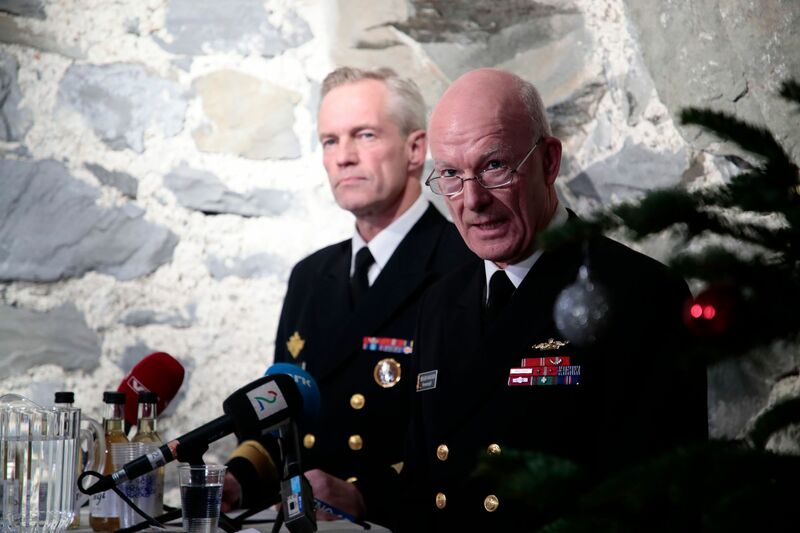 OSLO - A collision earlier this month between a Norwegian frigate and a Maltese oil tanker was mainly due to human factors, investigators said Thursday, ruling out a technical error at this stage. Returning from NATO’s Trident Juncture exercises, the KNM Helge Ingstad frigate sank after crashing into the Sola TS tanker in the early hours of Nov. 8, in a fjord near the western Norwegian town of Bergen. Eight of the 137 people aboard the frigate received minor injuries. 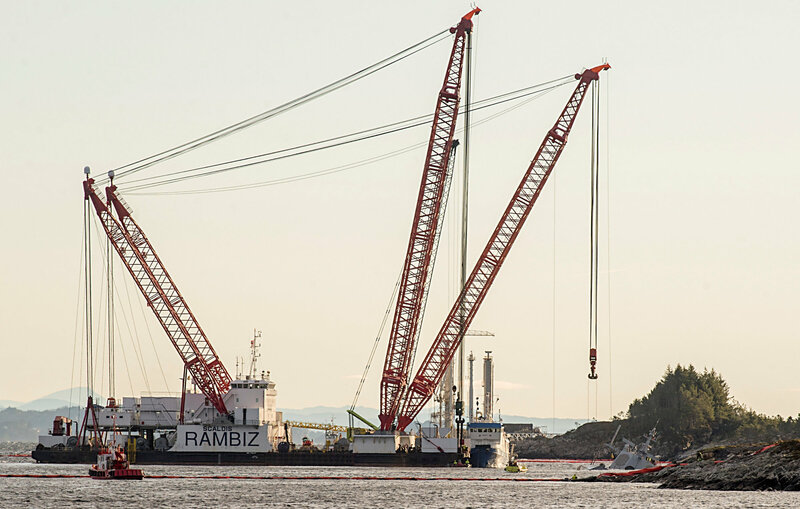 “As we see it, this is largely due to human factors,” Dag Liseth of Norway’s Accident Investigation Board told reporters as the preliminary findings into the cause of the accident were presented. Investigators said the frigate’s crew appeared to have confused the tanker with land, as the lights on the tanker — which was departing an oil terminal — blended together with the terminal’s lights, and also made it impossible to see the tanker’s navigation lanterns. Another misunderstanding also occurred. 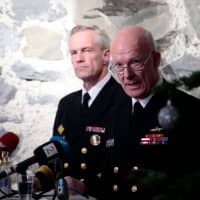 The frigate ignored the tanker’s warnings over the radio to veer starboard to avoid a collision, thinking the calls were coming from another vessel farther away in the fjord. “No isolated action or event caused the accident, but the accident can be explained by a series of compounded factors and circumstances,” the accident board said in its preliminary assessment. 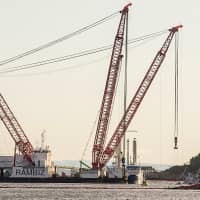 Authorities are still trying to raise the 5,000-ton vessel, which is almost entirely submerged.